"Complementary" therapists such as acupuncturists, chiropractors, herbalists and massage therapists are now so widely visited by men and women world over that the western medical world and health insurance funds have been forced to take notice. Modern western medical theory as we know it today has its roots in the seventeenth century. One of the many ideas to come out of this era of science was the application of a linear cause and effect model to explain the physical world (Newton et al.). In direct contrast, China's great minds of the time had been working for thousands of years with the non-linear nature of time and space which shares many striking similarities to views coming from today's quantum physics researchers. Ancient Qi Gong practitioners and physicians understood that Qi (Chi) is a fundamental part of everything in the universe. It is through Qi and its many expressions, that humans, the earth and the universe are all connected. Even today's physics laws can demonstrate that matter and energy are interchangeable. For example, matter is constantly vibrating in the form of solids and gases and is constantly changing, being affected by or interacting with another sources of Qi/energy. To further illustrate, on a scale from densest or slowest vibration to highest; minerals (very low), plants, animals, humans, universal energy. Humans cannot directly sense many of the vibrations or energy waves which surround and penetrate us everyday. Think of radio waves, microwaves, ultra violet waves just to name three. What other energies wait to be named that modern technology has not yet developed devices to detect? "Qi" is a term or concept which covers all of these different waves or frequencies without narrowing focus down to separate parts. Modern science will continue however to increase our understanding. Simply put in Qi Gong terms, matter changes into Qi, and Qi changes into spirit. Qi is the connection between spirit and body. Over time Qi Gong's practitioners and physicians developed techniques to balance the body's physical energy (Jing) in order to live harmoniously with the environment, Earth Qi and develop or refine the mind and spirit (Shen) and communicate with universal energy. From these root theories grew highly developed and extensively researched health systems (A 5000 year history and literally millions of practitioners and patients amounts to a very large control group). 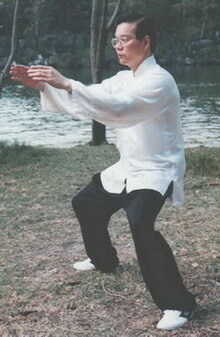 Some examples; Qi Gong exercises and mental training techniques, Qi Gong medical treatment, acupuncture, herbal medicine, Chinese manipulative massage techniques and internal martial arts such as Tai Chi. They observed that the body's Qi "pools" in the organs and spills/flows into "rivers" and "streams" through the body which we call today "channels" or "meridians". Individual "points" along these channels are manipulated in acupuncture and Qi Gong treatments to change or rebalance the body's energy flow. Qi Gong practice and Chinese medicine both developed systems of treating the body based upon observation and treatment of this flow around and through the body. With the correct instruction, methods and practice anyone can learn to sense and control the vibration and flow of their body's internal Qi and its connection with their body and spirit. Medical Qi Gong teaches mental and physical exercises to heal and strengthen the immune system and to improve organ function. It is estimated that more than 80 million people practice some form of Qi Gong in Beijing everyday. Interest around the world is growing as more Qi Gong masters and physicians travel around the world educating the public on the latest Qi Gong research results and the health benefits of Qi Gong. The Chinese government as well as western universities have been conducting high level research into the health and scientific benefits of Qi Gong. It is unfortunate that instead of hearing first of the medical and scientific history and benefits of Qi Gong, recent controversy over individual Qi Gong groups which continue to gain news headlines may mean that people may be misled as to Qi Gong's true nature. Qi Gong simply means energy work or to work at mastering your energy. Qi Gong's roots are pure and have no religious connotations, require no "spiritual leader", doctrine or particular belief system. Qi Gong's main purpose is regaining balance of body, energy and mind/spirit in order to improve and maintain health and to help others through medical Qi Gong treatment. The Australian College of Tai Chi & Qi Gong teaches foundational Qi Gong exercises and theory for beginners through to advanced levels, medical Qi Gong, and Qi Gong massage. Step-Back Qi Gong is one of the few Qi Gong styles to be officially recognised by the Chinese Government. Trials held at the various Qi Gong clinics set up by Grandmaster Li have proven the dramatic improvements in health made possible by Qi Gong practice. 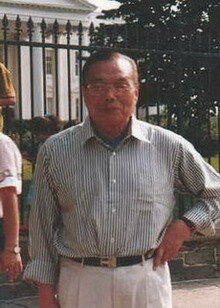 At over 80 years of age Grandmaster Li is living proof of the benefits of Chinese health exercises such as Tai Chi & Qi Gong. Qi Gong can be thought of as breathing exercises combined with mental and physical training for the prevention and treatment of diseases and also for health care and prolongation of life. 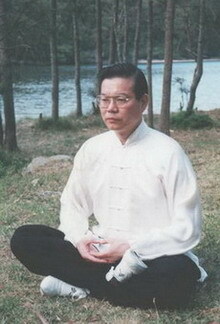 Qi Gong teaches how to control and quiet the mental functions and also how to regulate respiration and spirit. "Qi" means vital energy or life force. Qi can be classified into the "Qi of the former heaven" (i.e pre-natal or pre-birth Qi) and "Qi of the latter heaven" (i.e post-natal or post-birth Qi). Pre-natal Qi: can be further classified into Essential Qi and Primordial Qi. Essential Qi is obtained from the parents at the earliest stages of life, during the formation of the foetus. Primordial Qi refers to the fundamental matter and motivating force that maintains the physiological functions of the body's tissues and organs. During the development of the foetus, Primordial Qi is already formed. It is then stored in the kidneys and is closely related with the gate of life. Post-natal Qi: can be classified Heavenly Qi and Earthly Qi. Heavenly Qi refers to the air we breathe in an out of the body during respiration. Earthly Qi is absorbed from water and grain from the earth. Actually it includes all vital energy absorbed from various foods through the digestive system by our solid and hollow bodily organs to maintain vital activities. The relationship between Pre-natal Qi and Post-natal Qi is: the Pre-natal Qi is the motivating force of life. The Post-natal Qi is the material upon which life relies for its maintenance. Human life and its activities are motivated by the Pre-natal Qi and supplemented by Post-natal Qi. "Gong" means a method of exercise to build up vital energy (Qi/Chi). Adjusting the body (standing, lying, sitting, kneeling and hand postures).